Vygotsky at Work and Play relates the discoveries and insights of Russian psychologist Lev Vygotsky to ordinary people and their communities. The author—working with her intellectual partner Fred Newman—has advanced a unique performance-based methodology of development and learning that draws upon a fresh and in some ways unconventional reading of Vygotsky. In this book, Holzman shows this methodology at work in key learning environments: psychotherapy, classrooms, out-of-school youth programs, and the workplace. The book vividly describes Vygotskian-inspired programs involving thousands of people from a wide range of cultural backgrounds, ages and occupations. Interwoven in each chapter are discussions of Vygotsky’s understandings of play, speaking, thinking, the zone of proximal development, the individual and the group. Holzman brings practice and theory together to provide a way forward for those who wish to liberate human development and learning from the confines of the social scientific paradigm, the institutional location of educational and psychological research, and the practices that derive from them. 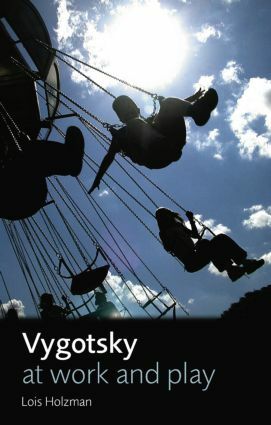 Vygotsky at Work and Play presents a challenge to the underlying distinctions and boundaries of psychology, most significantly to the presumption of a cognitive-emotive divide, the notion of fixed identity, the privileging of the individual over the group, and the instrumental nature of play and performance. The book is essential reading for researchers and professionals in educational and developmental psychology, psychotherapy, cultural historical activity, social science, performance studies and education.